Liebesbotschaft International: Parmesan popcorn + TLC. I am sure that on a rainy day with a headache to boot and nothing quite working out on top of it, my readers all lie down on the couch and watch documentaries on Discovery Channel about the life of ibex in Southern Caucasia – in Russian with Romanian subtitles. I, however, go to bed, call my daughters and watch reality TV with them. It is very relaxing and very, very funny, because of the girls’ synchronized running commentary. 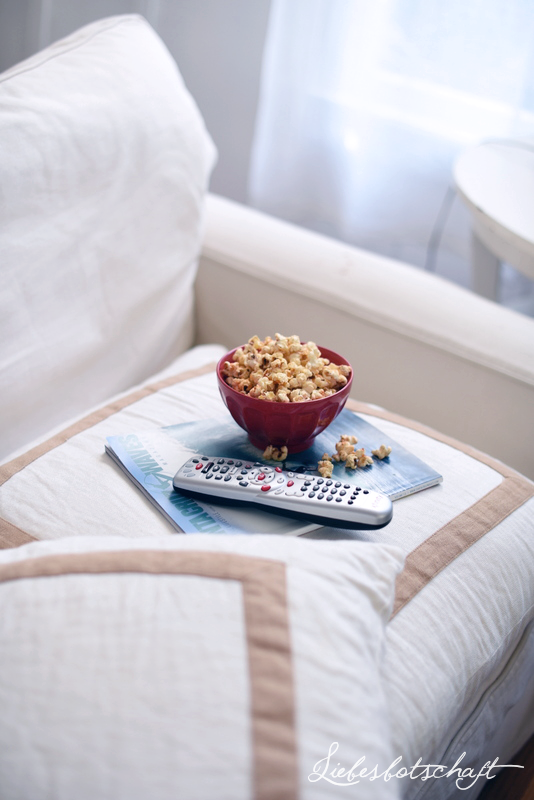 Since the beginning of April the TV station TLC is available in all of Germany at no cost – with a huge selection of exactly these kinds of shows for lazy headache afternoons or evenings in bed. Most of the formats originate in the US or England, some of them are surely a matter of taste and I wouldn’t necessarily watch them, but go ahead and form your own opinion. - "Say yes to the dress" – several times a week, e.g. Mondays at 8:55 pm. - "Fashionistas” – a bit like Shopping Queen, but very American!, e.g. every Monday at 9 pm. - "Strandhaus gesucht" – aren’t we all looking for a beach house? Right! Always on on Tuesdays at 5:30 pm. 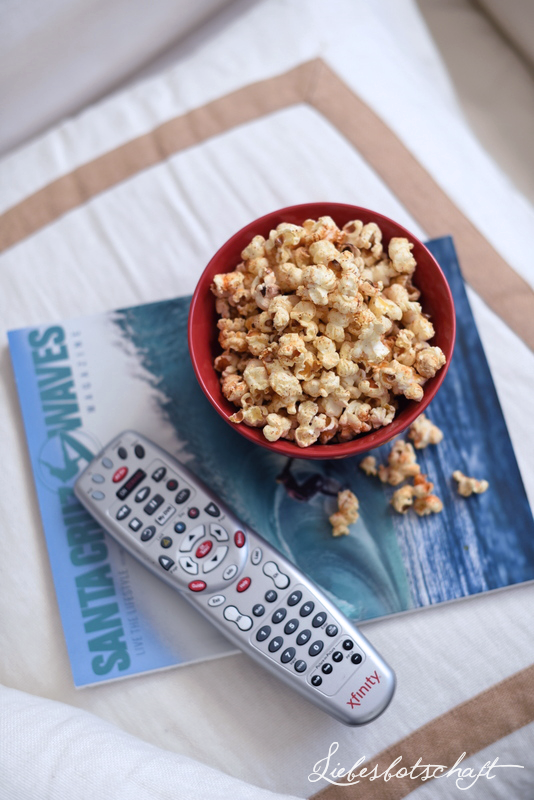 In addition, a savory popcorn recipe for you – salted popcorn is much more popular here and the sugary kind is hard to find. "No, we are not THAT fancy." First pop your popcorn in a casserole (preferably with a heavy bottom). Take casserole off the stove immediately after the popcorn is done popping and let butter melt in it. Mix with the popcorn, sprinkle with paprika and Parmesan, and mix well again. The Parmesan slightly melts on the popcorn; it tastes delicious! If you have truffle oil in your pantry replace the paprika with 1-2 Tbsp oil. 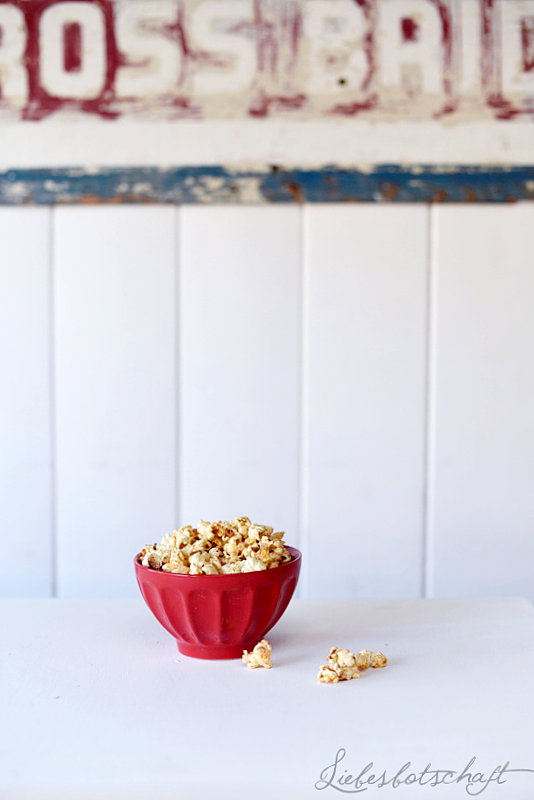 Click HERE for a recipe for the best movie theater popcorn. OK, now you have popcorn, a show, now all you have to do is find company with a sense of humor who will commentate every scene for you. But I cannot take care of everything! Why California doesn’t make me happy. Sundays on the beach & in the city.